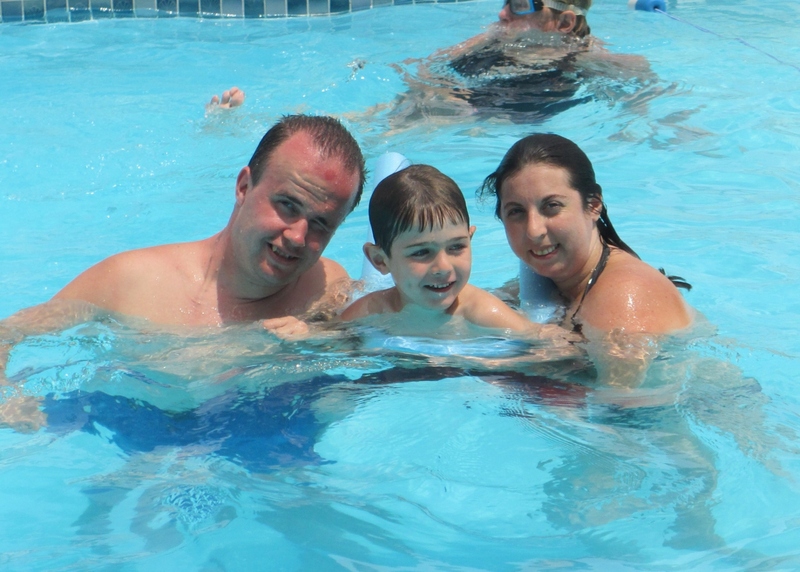 Summer is a special time for both adults and kids to kick back and relax. But with all the extra free time parents and grandparents will be looking for some non-screen time toys. 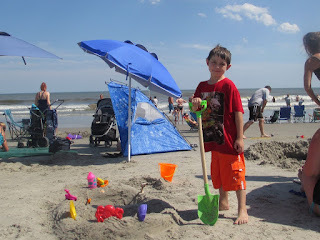 Here are some great options with summer themes that the kids will enjoy and the bonus is that they have educational value. You don’t have to tell the kids that. 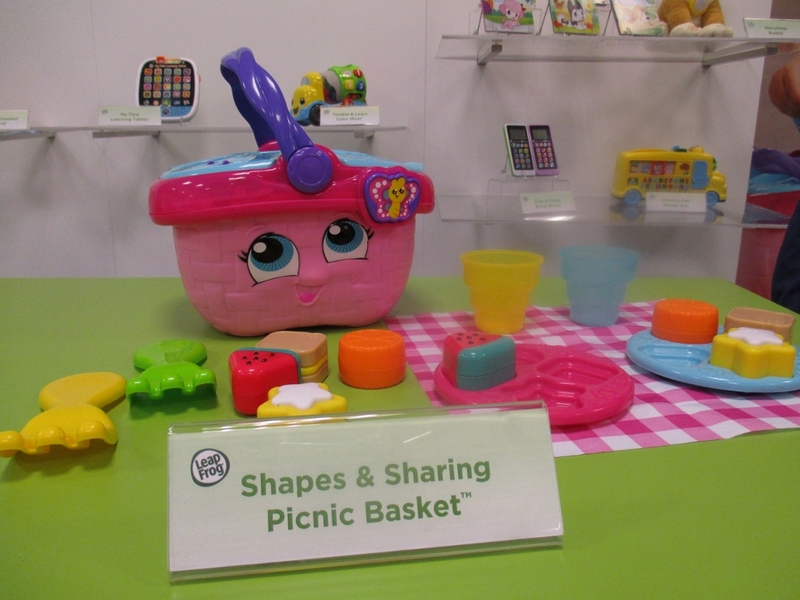 All of the pictures here were taken by me at Toy Fair in February - no stock professional pictures. Some were just in prototype stage then so they may be slightly different than these pictures. And indeed some of the pictures are less than perfect. I saw thousands of toys and took over a thousand pictures and this is the best of what I saw. Most of the products are new on the market since May or later and are available on Amazon now. I have listed something for every age listed from youngest to oldest. The VTech Go!Go! Smart Wheels sets are established favorites for toddlers and pre-school age children. 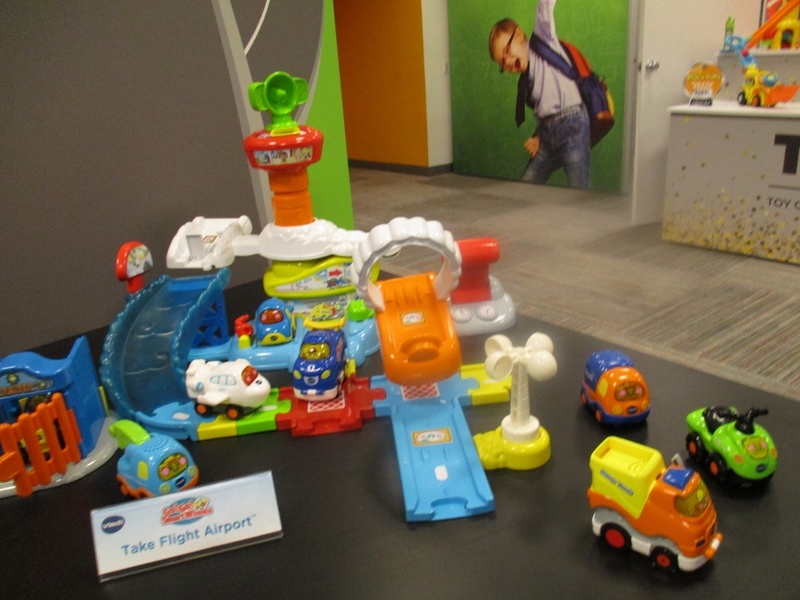 This airport set has six SmartPoint™ locations teaching letters, sounds, music and more. There are over 120 responses that include phrases, music and sound effects. The tracks can be used with other Go! Go! Smart Wheels® playsets and other smart wheel vehicles can be used with this set. Note that this set only comes with the smart wheels airplane and does not include other vehicles. Taking your first airplane trip - check this out for sure. Toddlers love to play with play food. This colorful picnic basket features picnic food and also serves as a dual shape sorter on the basket and on both plates. Young children may have experienced an Insect Lore Caterpillar set at school. 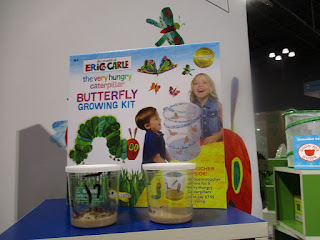 This is a new set with the Eric Carle Very Hungry Caterpillar theme. The growing instructions and theme book feature the fabled character and will make this butterfly set extra enjoyable. This is a new product just on the market now. Minecraft has super popular video and online games. They also develop planning and strategic skills and are considered a top educational game. 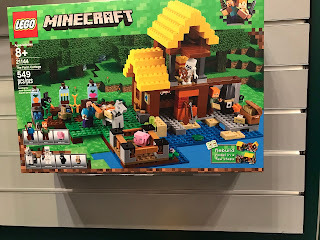 The LEGO Minecraft line provides the opportunity to move seamlessly from the computer games to the hands on building. There is a whole line of LEGO Minecraft sets. I chose this one because it is brand new and has a summer theme. This set features an interactive pool which includes crabs and starfish and which can be filled with water can also be used as a box to store small parts. The shop sells working octopus water sprayers, souvenirs, and food and drink. 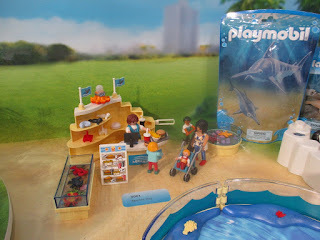 Playmobil sets always encourage creative play and are made extremely well. They are the kind of toys handed down for generations. 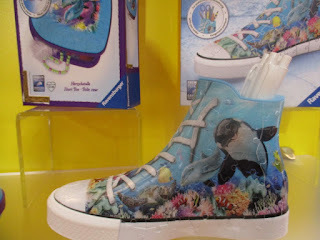 This new set has a summer theme and caught my eye at Toy Fair in February when I saw this prototype. This is actually a collectible science toy – and we know that kids love collectibles. How cool is this. Each pack comes with two Beaker Creatures collectibles: one that’s ready to identify, and one that’s encased within a mysterious Reactor Pod. After dropping the pod in water and triggering its colorful bubbling reaction, kids can use the included classification cards to count up their creatures’ physical characteristics and determine which of the 35 Beaker Creatures they’ve discovered. The set includes one Bio-Home, a habitat whose top also doubles as a magnifier that helps kids take a closer look and two double-sided mini-posters. Each poster has one side which features a quiz filled with amazing real-world science facts, while the other features images of the creatures. 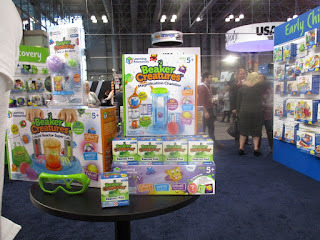 There is a wider line of Beaker Creature toys also available. Ravensburger has made this 3-D puzzle in various designs and its newest design features an underwater scene. I made this puzzle featuring a flag design with my grandson a couple of years ago and he loved it. You can use the finished product as a pencil container. If you know a child who is interested in dolphins or you have a vacation planned where you may see dophins this is a perfect book for a child of any age – grown up ones too. 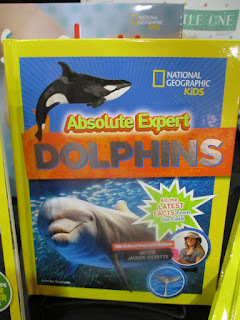 You will learn everything you have ever wanted to know about them in this book. It features exclusive content from a National Geographic explorer currently in the field. 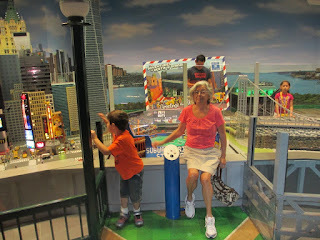 When the grandkids visit this summer you definitely want to plan some activities that will be fun for everyone. Here are some ideas – some don’t cost a penny and others can break the bank. Last week I wrote about things to do at home and this article is about getting out there for a little action. Many towns have free summer outdoor concerts in a local park or town square. In our small town we have Wednesday night concerts in the town square. People bring their beach chairs and blankets and the kids have plenty of space to run around, dance and enjoy. Night is not over - walk down to The Towne Scoop for an ice cream cone. But you will have to wait – there will be a crowd. There are also lots of summer concerts further away that aren’t free but can feature marquee names. You can be a cool grandparent by bringing older kids to see someone they would like to see. I remember bringing my middle school age son to a Smashing Pumpkins concert. Lots of brownie points for that one. These events provide opportunities for rides, games, fun food, entertainment and being with other kids. Water Parks are becoming more popular everywhere and they are a perfect place to beat the heat of summer. You can find a shady place to sit and watch the grandkids slide, jump swim and have a great time. Younger children especially enjoy a day at the zoo. But don’t choose a day that is too hot. 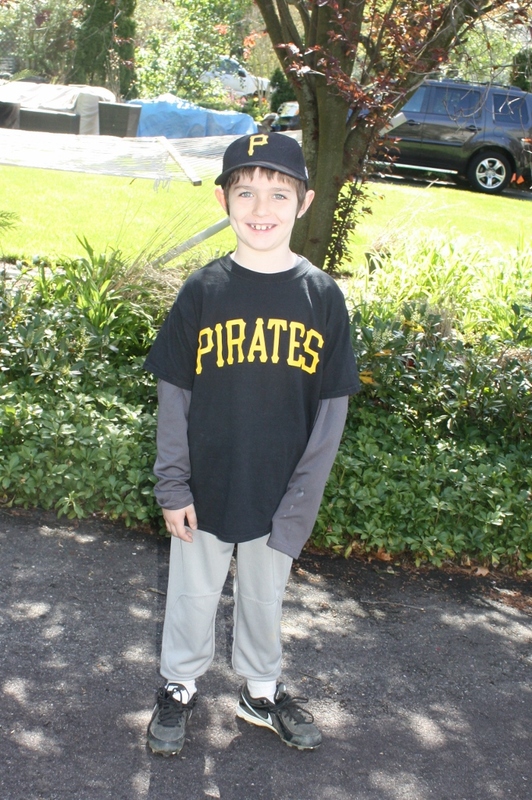 Nothing shouts summer like a baseball game. It doesn’t have to be major league. There are lots of summer professional leagues that provide a low key inexpensive night out at a baseball game. I have been checking out the New Jersey Jackals schedule at the Yogi Berra stadium near where I live. 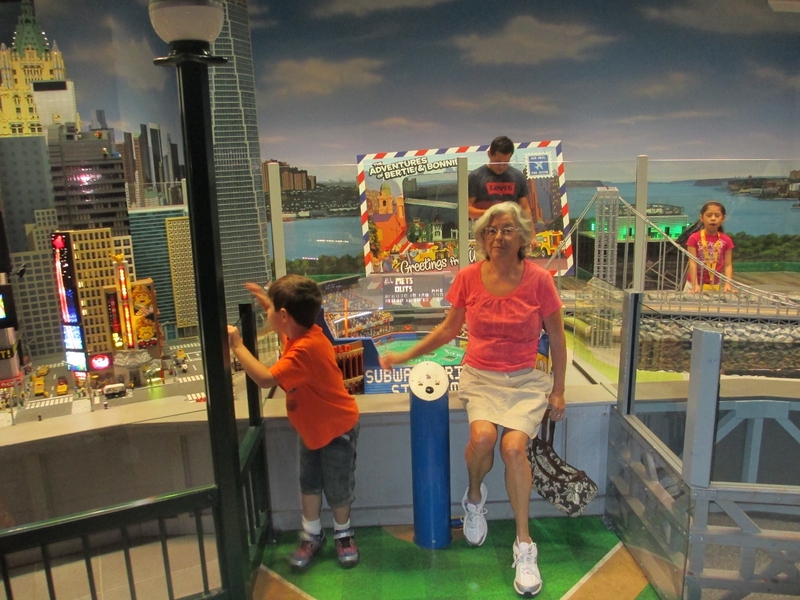 Miniature golf is a traditional way to have some intergenerational fun. It is not too strenuous but still lots of fun. Many museums have special programs during the summer and a visit is a good time to learn about something new – or more in depth – and enjoy the air conditioning. If the museum has a planetarium show that’s a nice extra. I live in northern New Jersey and I am seriously considering taking my 9 year old grandson to his first Broadway show. 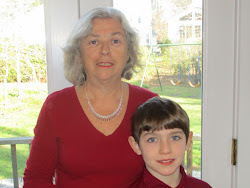 Does your grandchild play an instrument – perhaps a symphony orchestra performance. Do you live in a different state than your grandchildren. Then there are probably some interesting things to do near where you live that they don’t get to visit when they are home. I am lucky that my grandchildren live nearby but since I live in New Jersey, I would be making sure my grandkids experienced the Jersey Shore if they didn’t live near the coast. 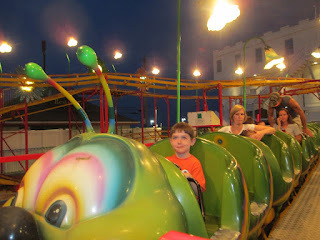 What are your plans to share with the grandkids this summer.? Please share with us in the comments - it may inspire other readers. Parents - what would you like to see the grandparents do?